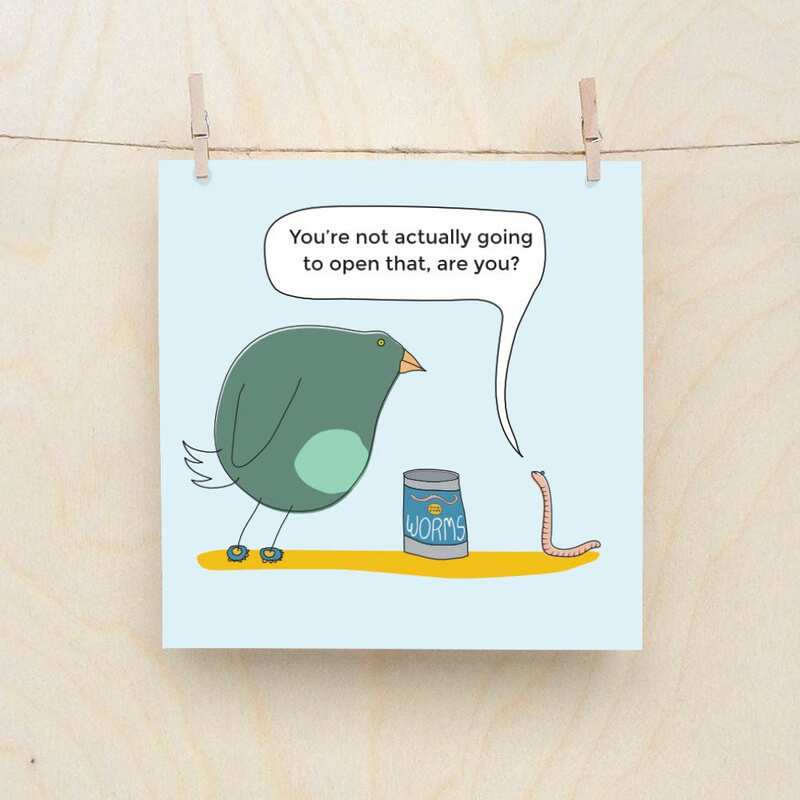 This card is funny because it is a worm asking a bird if it is going to open up a can of worms. Funny eh. Yes, it is. Is it just about that though, Is it also possibly an examination of every relationship that has ever passed. We connect, we love, we grow together, we become one, but, at the end of it all there are still boundaries that cannot be crossed. And when they are crossed however strong the bond that love has managed to create it will be broken. In Two, like a cheap Chinese pencil. It's just about a worm asking a bird if it is going to open up a can of worms actually but you can see how quickly these things escalate. Amusing greetings card printed on 148mm x 148mm 380gsm card. Professionally printed. comes with envelope in cellophane wrapper. Shipped in hard back envelope.